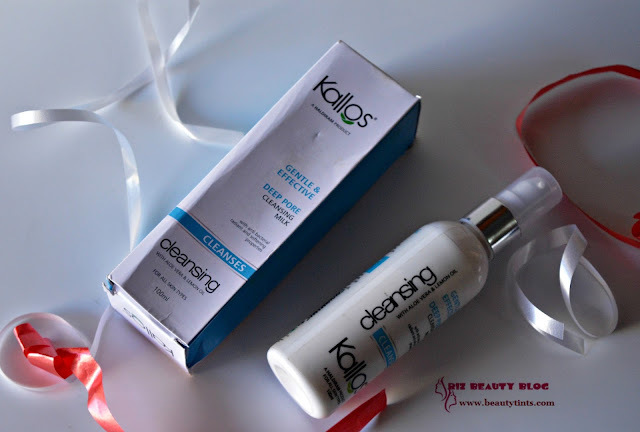 Sriz Beauty Blog: Kallos Deep Pore Cleansing Milk Review!!! How many of you love Haldiram's Namkeen and Soan papdi??? Are you wondering why did I ask this question.....??? Well! 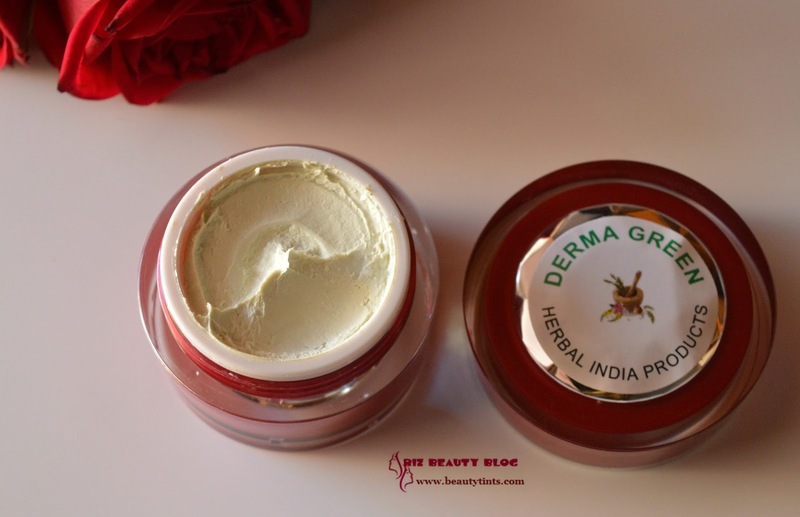 Let me tell you the relation between Haldiram's and the Kallos products! The Brand Kallos is nothing but the skin care segment of the popular Haldiram's consisting of various affordable skin care products like Cleansing milk,Face wash,scrub etc and many more.Today I am reviewing my first product from the brand which is their Deep Pore Cleansing Milk!!! 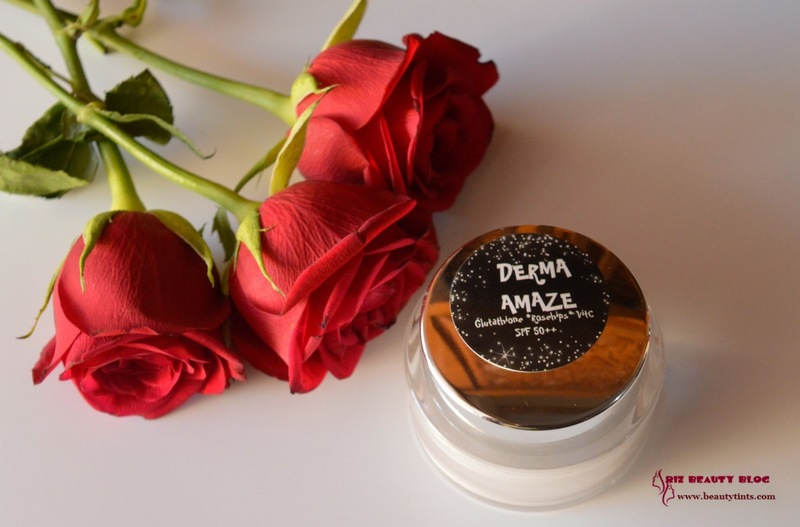 Ingredients : Aqua,Light Liquid Paraffin,Aloe vera juice,petrolium jelly,iso Propyl Myristate,Glycerin,Emulsifying Wax,Stearic acid,Glycerin Mono Stearate,Bees wax,Cetyl Alcohol,Propylene glycol,2-Phenoxyetanol,Disodium EDTA, Methyl Paraben, Propyl Paraben,Tea,BHT,Lemon Oil,Fragrance. What the Product Claims : A rich cleansing milk, comprising aloevera and glycerin, blended with lemon oil, lifts surface impurities and removes excess oil while maintaining the natural balance of the skin. 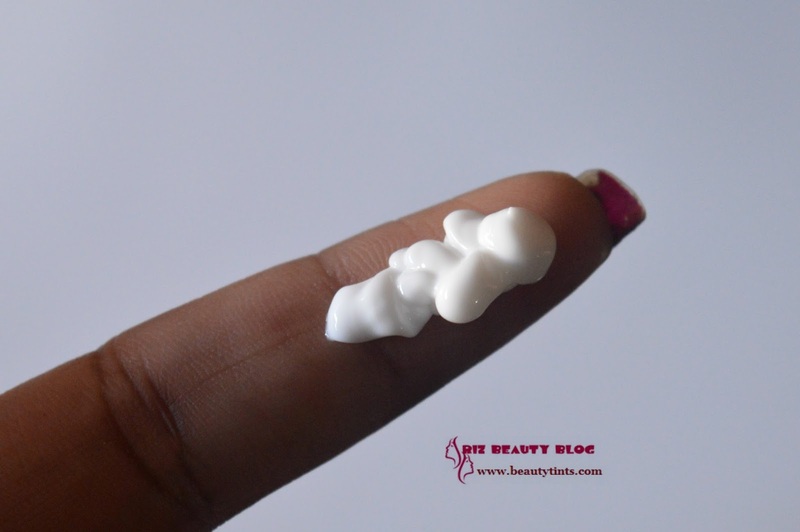 Direction : Pump Optimum amount onto fingertips and massage gently over dampened skin in circular motions.Rinse thoroughly with warm water or tissue off,if so desired. My View On the Product : I love using cleansing milk as a part of my night time skin care routine as it helps in removing the traces of makeup that are left over by a makeup remover and also helps in deep cleansing the skin.This comes in a travel friendly bottle with a pump dispenser and the cap fits perfectly,so it is easy to carry. It is a bit thick in consistency and a dollop is enough for the entire face.It has a mild fresh scent,may be similar to cologne, I am unable to describe it but its nice.It removes all the dirt,grime and oil from deep with in very effectively and gives a nice deep clean effect every time.It neither dry out the skin nor make it oily.It gets rinsed off easily with out leaving any residue behind.It does remove BB and CC creams well but I haven't tried with high coverage foundations and waterproof makeup.It makes skin smooth and hydrated,gives a perfectly clean feel.It contains the goodness of Aloe vera,Glycerin and lemon oil.This is priced reasonably and is available from online stores easily.The only con with this is it contains Parabens! Final Conclusion about Kallos Deep Pore Cleansing Milk !!! : Those who are in search for an effective yet affordable cleansing milk should give this Kallos Deep Pore Cleansing Milk a try!! !